Extra police officers are to patrol the streets of Brighton on nights when there is a full moon. It follows research by the Sussex force which concluded there was a rise in violent incidents when the moon was full - and also on paydays. Insp Andy Parr said he compared crime statistics for Brighton and Hove with lunar graphs to discover the trend. The legend that people can become violent, or even turn into wolves, can be traced back to ancient times. But nobody has been able to explain a link between lunar cycles and human behaviour. A spokeswoman for Sussex Police said: "Research carried out by us has shown a correlation between violent incidents and full moons." More officers will be out on Brighton's streets during full moons over the summer months, she added. Mr Parr has said he would be interested in contacting universities who may be interested in examining the link further. He told the BBC: "From my experience, over 19 years of being a police officer, undoubtedly on full moons, we do seem to get people with, sort of, stranger behaviour - more fractious, argumentative. "And I think that's something that's been borne out by police officers up and down the country for years." 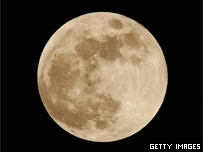 Past research into the phenomenon includes a study by Professor Michal Zimecki, of the Polish Academy of Sciences, who argued that a full moon could affect criminal activity and health. Meanwhile in 1994, Jack Nicholson starred in a film called Wolf, in which a publisher becomes infected by a creature and turns into a wolf at full moon.